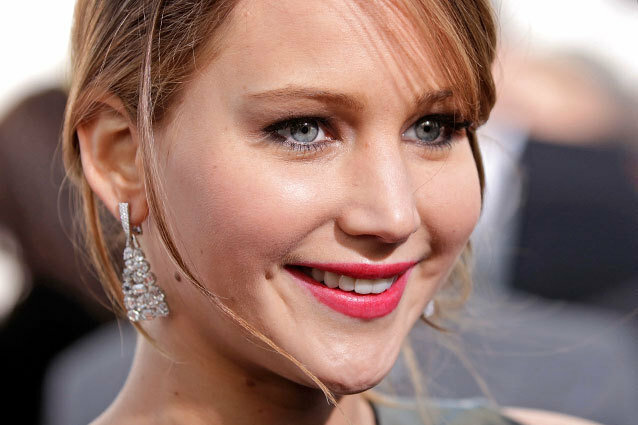 America — no, the entire world — is in love with Jennifer Lawrence. It’s no secret, it’s been reported on over and over. So, it’s no surprise that in Lawrence’s new interview, she once again captures our hearts and our heads when she speaks out against the over-the-top expectations in Hollywood, and how she refuses to conform. In the November issue of Harper’s Bazaar UK, Lawrence says she is still facing pressure from Hollywood to be stick thin. When she was just starting out, the first overweight comments began, but she brushed it off as, “It was just the kind of s**t that actresses have to go through.” But Lawrence explains it quickly began to get more personal. “Somebody told me I was fat, that I was going to get fired if I didn’t lose a certain amount of weight. They brought in pictures of me where I was basically naked, and told me to use them as motivations for my diet. They thought that because of the way my career had gone, it wouldn’t still hurt me. That somehow, after I won an Oscar, I’m above it all.” Lawrence goes on to explain that it doesn’t matter what kind of compliments or awards you get, an insult is an insult. Thankfully, Lawrence tries to not let it bother her anymore, instead claiming, “If anybody even tries to whisper the word ‘diet,’ I’m like, ‘You can go f**k yourself. '” Hallelujah Jen. We seriously hope this this trend of standing up for all body types will continue, and that other Hollywood actors will come forward to criticize the unreleastic Hollywood standards… or at least get photographed eating a burger once in a while. Until then, I’ll leave you with this awesome clip of the refreshingly normal J.Law telling Ryan Seacrest she’s “starving” on the Oscar red carpet. Check it out below.